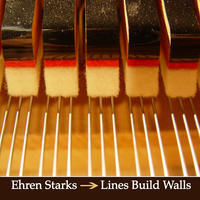 Ehren Starks: Piano and cello/jazzy new age. Born in Tulsa Oklahoma but raised in Kansas City, Missouri. Currently attending the University of Kansas studying Art History Drawing and Painting. I now live in Lawrence Kansas USA. I began playing at the age of five under the suzuki theory and continued with lessons until the age of 18 or so. I became bored with playing other peoples songs and the piano in general. I really started making a lot of progress when I got into improvising and composing my own pieces. This was around the age of 13 or 14. I recorded and released my first solo album at the age of 17. 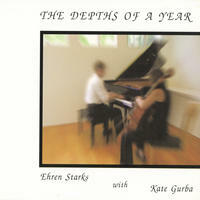 The Depths of a Year was written from the age of 18 to 19 while I first attended the University of Kansas. Much of the album came from a need to cope with a failed relationship. I wrote the album and called Kate who I barely knew. I did know she could play and she gladly joined on. I dropped out of school to play piano and organ with a rock and roll band called the gadjits ( now the architects) and a band called the belles. I toured for two and a half years, playing over 300 shows in all of north america and the UK. Being burnt out by the road and rough lifestyle, I have happily returned to school to study visual arts and focus on my composing, drawing from the likes of Radiohead, Interpol, and many others. I am now 22 and hope to keep pushing the boundaries of my creativity and composing in general. 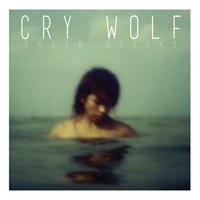 Ehren Starks lives in Missouri, USA. Tagged as: New Age, Jazz, Neoclassical, Instrumental New Age, Contemporary Piano, Daydreaming.